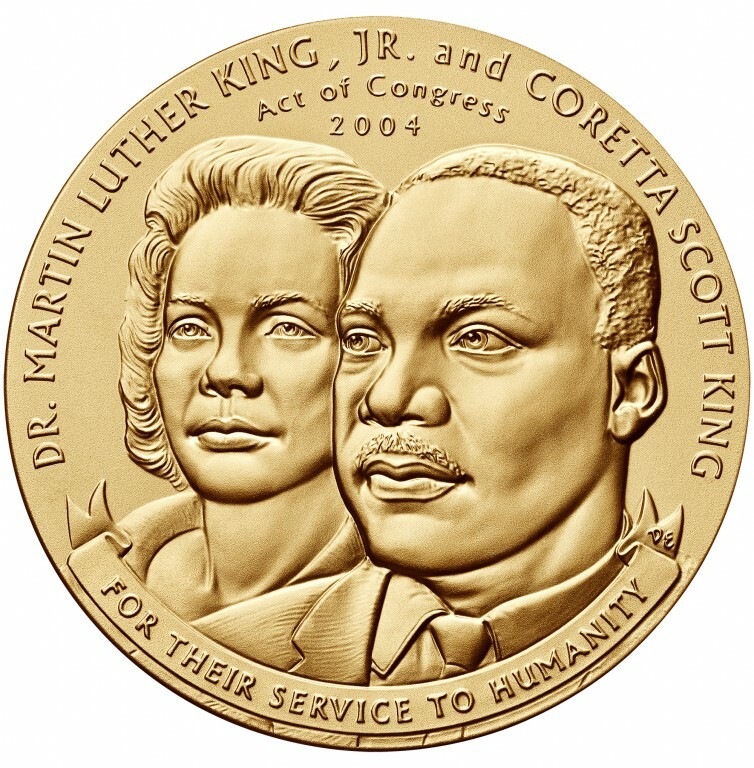 This medal honors Dr. Martin Luther King, Jr. and his wife Coretta Scott King for their many contributions to the Nation on behalf of the civil rights movement. It is a bronze duplicate of the Congressional Gold Medal awarded posthumously by President Obama – on behalf of Congress – to Dr. Martin Luther King, Jr. and Coretta Scott King. King delivered his “I have a dream” address in front of the Lincoln Memorial more than 50 years earlier on August 23, 1963. The obverse (heads side) design features portraits of Dr. King and Coretta Scott King. 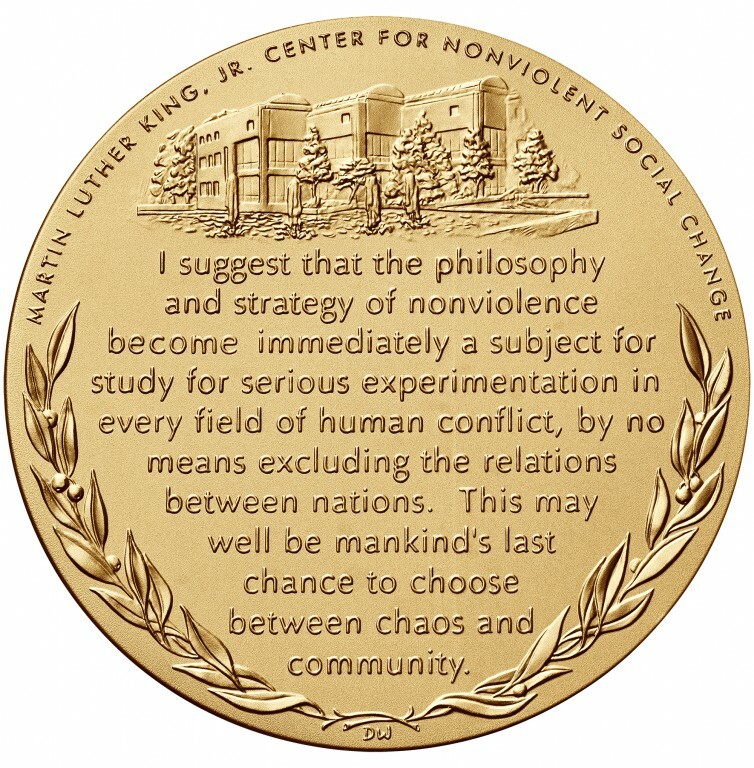 I suggest that the philosophy and strategy of nonviolence become immediately a subject for study for serious experimentation in every field of human conflict, by no means excluding the relations between nations. This may well be mankind's last chance to choose between chaos and community. The lower half of the medal is encircled with a laurel wreath.